I’ve had something of a torturous relationship with Leprous over the years: I loved Bilateral, liked Coal but just couldn’t get into The Congregation, which seemed like a step too far down a cul de sac. So here we are with their fifth album, Malina. For me Malina has redressed the balance and freed Leprous from a cage of their own making. It’s thought provoking, uplifting, forward looking and an album from which they can truly push the envelope. 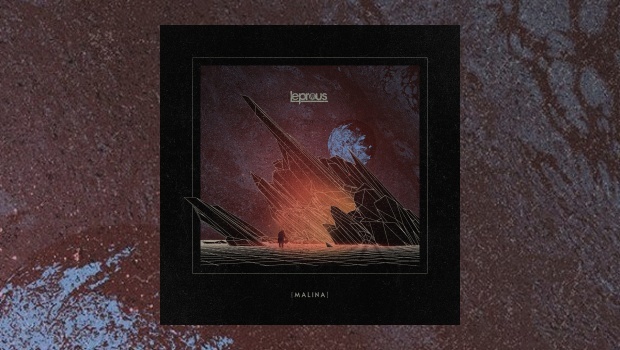 Many find prog metal unappealing but please don’t simply see the ‘PM’ tag and skip over Malina as Leprous have, to my mind, entirely succeeded in producing an artistic statement that sets them apart from their beginnings. 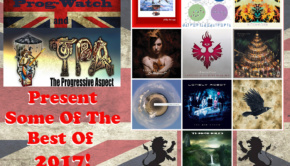 You should never entirely write a genre off and such is the case with prog metal as when artists get it right it can be the source of some of the most innovative new music, the sparks of imagination starting a fire of forward looking experimentation. This is what Leprous have achieved with Malina. A sticking point in the past may have been the occasional use of death metal vocals, which are no longer a feature, and the denseness of the sound. One could ponder on whether the recruitment of new guitarist Robin Ognedal, replacing Øystein Landsverk, has impacted on the way that Malina developed, but with most of the material originating with singer and keyboardist Einar Solberg, the vision must be his. 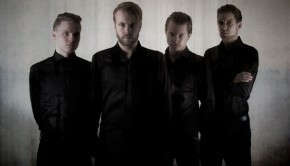 Leprous have always been different but with this album they have in large part extricated themselves from the constraints of being a ‘prog metal band’, there are moments of exquisite beauty here and true innovation, they no longer need to rely on bludgeoning power, and their music is all the better for that. 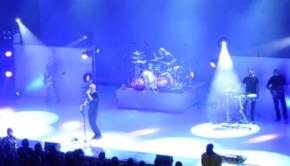 Metallic elements certainly remain, in tracks like Stuck, Coma and The Weight of Disaster for example, but this does not tell the full story and the power is used as a device to achieve the band’s aims. At times it appears that Leprous have been paying attention to the approach taken by Icelandic band Agent Fresco, both bands being blessed with singers of extraordinary capabilities which elevate them above most of their contemporaries. Einar’s acknowledged influences from artists such as Radiohead, Massive Attack, Arvo Pärt, Susanne Sundfør, Behemoth and The Prodigy, in addition to more progressive-friendly bands as Porcupine Tree and The Dillinger Escape Plan, point towards a widening palette, with strings being used to profound effect on a number of tracks. The Porcupine Tree influence comes into focus during Mirage where soundscaping keys, intricate driving rhythms and emotional vocals are all shot through with distinctive Leprous elements. The intensity inherent in Leprous’ music is present throughout but the sounds are more upbeat. Stuck is as ‘pop’ as I’d be happy for Leprous to go; drums pound and guitars chime but the overwhelming density of Coal and The Congregation has been relaxed. There are little bits of Kraftwerk and ’80s sounds, sweeping strings and Einar’s soaring voice – absolutely lovely. The staccato stop/start polyrhythms of previous releases are re-injected into Captive, but kept melodic and without the need to beat the listener to death, Illuminate bringing in additional intriguing textures and rhythms before Leashes eases things down in a song of involving melancholy. Einar is at his most fragile during the title track, soaring skyward with delicate yet effective support. Gradually the drums vie for supremacy, both subsiding away to strings before the raging torrent of Coma‘s brutally repetitive riffs, the charge led imperiously by voice and strings with melodic lines often at odds with the venomous barrage around them, but it works a treat. The Weight of Disaster adds a new dimension as the thumping intro steps back to sinister bass and electric piano before soaring to another winning chorus, delicate textures again juxtaposed against rhythmic heaviness. But it is the opening and closing tracks which open up the road ahead for Leprous. There is immediately a different feel with Bonneville, the textures of the keys and percussion mixed with Einar’s voice a thing of wonder. Lighter forces are at work here; it’s fragile and beautiful, Einar delicately harmonising with himself to gorgeous effect in an engaging intro that ramps up the tension in the second half. For The Last Milestone, atmospheric keys and strings introduce true choirboy heights from Einar, a distinctively different experience that underlines the special qualities that Leprous have at their disposal, and which they are unafraid to utilise. No drums or guitars, it’s striking, powerful and very well delivered, the extended violin solo an unusual counterpoint to what has gone before. It’s a mesmerising end and fair play, Leprous have nailed it with this album. The band have changed their approach and see Malina as, “… the perfect example on how you can start with a vision and ending up with a result that has nothing to do with the original idea. The writing of the album started out with the idea to perfect the sound and working method we began with on The Congregation. While the writing process was actually pretty similar we gradually started noticing stuff with the sound and the songwriting on the previous album that we wanted to sound different. Gradually we realised what needed to be done. This album needs to sound more alive, more organic and more dynamic. The longer into the process the more obsessed we got with this idea”. This collection is imbued with an emotional energy that increases the impact. There is certainly an organic feel to it, for which much credit should go to producer David Castillo and Jens Bogren for his mix, and by following their muse and not allowing themselves to be constrained by previous ideas and working practices they have produced a mature album that is one of the most captivating of the year so far. It’s not just prog metal, it’s a highly impressive and rewarding album that should alert more people to the talents of this quite extraordinary band. Malina has fully restored my appreciation for what Leprous do.